In short, people have good reason to be angry and frustrated at the moment. And it is at times like these when robust promotion of assembly and association rights are needed most. These rights give people a peaceful avenue to speak out, engage in dialogue with their fellow citizens and authorities, air their grievances and hopefully settle them. They are also a key vehicle for public participation for marginalized groups whose ability to participate in democracy may be otherwise limited by dint of being felons or migrants.–UN Special Rapporteur Maina Kiai. 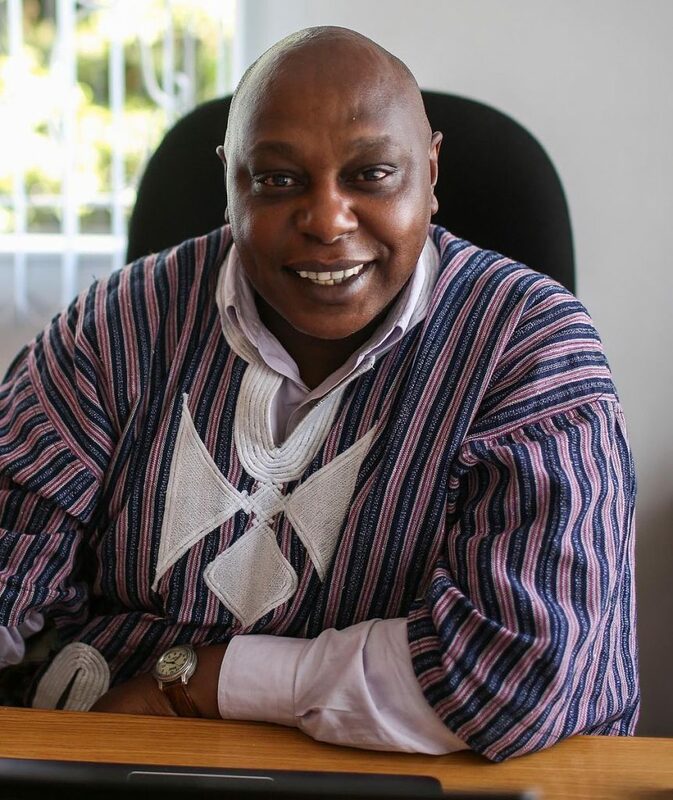 On Wednesday July 27, 2016 UN Special Rapporteur on the rights to freedom of peaceful assembly and of association, Maina Kiai, issued a statement on his July 11-27 mission to the US. This mission came at the official invitation of the US government and during it Kiai met with not only officials at all levels of government, but activists and civil society groups, including the Bill of Rights Defense Committee/Defending Dissent Foundation. BORDC/DDF used its chance to meet with Kiai to raise specific concerns about law enforcement infiltration and entrapment of political and religious groups. These concerns made it into his conclusory comments. Kiai, however, also went into great detail about other areas where the US government fails to live up to live up the full standards of international law when it comes to protecting freedom of peaceful assembly and association. The BORDC/DDF largely shares these concerns and thanks Kiai for championing them. Kiai brought this up to point out how people have “good reason to be angry and frustrated” and such times are “when robust promotion of assembly and association rights are needed most.” While our mission is to protect political expression, we do so with the ultimate aim of ensuring a participatory democracy. As a result, while we do not take specific positions on how to solve every social and economic problem, we understand that the existence of such questions require active political participation through dissent. We also know many US law enforcement and intelligence agencies view advocacy for political, economic, and social change not as signs of a healthy democracy, but as a threat. BORDC/DDF raised the issue of law enforcement infiltration to Kiai during the civil society roundtable we attended. Kiai, however, also got to witness such infiltration firsthand. According to Kiai, while observing a Black Lives Matter protest in Philadelphia, he saw the crowd pinpoint an undercover officer in their midst who was engaged in photographic surveillance of the protest. Kiai was critical of this type of photographic surveillance. Kiai also commented on reports he heard about the infiltration more generally, including of Occupy Wall Street and the Black Lives Matter movement, an issue that BORDC/DDF has for months been asking Congress to address. Kiai also mentioned that he heard many reports of entrapment in “terrorism” related cases and “fishing expeditions” undertaken by law enforcement against activists. BORDC/DDF has long been critical of US “material support for terrorism laws.” Both in the ways they have been used to criminalize political speech and in the way in which they have restricted civil society more broadly. It because of the latter concern that we belong to the Charity and Security Network which works to protect civil society’s ability to carry out peacebuilding, humanitarian aid, human rights and development work without being unduly constrained by counterterrorism laws and policies. For these reasons we were glad to see Kiai criticize the way that The Antiterrorism and Effective Death Penalty Act and the USA Patriot Act criminalizes legitimate civil society actively, jeopardizes humanitarian work, and are in need of amending. We also share his concern that reasonable suspicion is not a high enough standard to freeze someone’s assets as a Specially Designated Global Terrorist and that greater due process is needed. Kiai mentioned the many restrictions that were placed on peaceful assembly in the US, as being contrary to the internationally recognized right to peaceful assembly. For example, US courts have long held that restrictions on assembly were ok, so long as they were “reasonable’ time, place, and manner restrictions and not content based. But as Kiai pointed, content based restriction deal with the right of expression, not assembly, and that many restrictions on time, place, and manner approved by US courts have not met international standards. Kiai also noted that when a “right is subjected to a permit or authorization requirement, it becomes a privilege rather than a right.” As such, Kiai suggested that cities do away with requiring permits and instead move to system that merely requires notification of assemblies. Kiai received numerous reports that protests were handled differently based on the race of the protesters. Protests that were expected to consists largely of African-Americans, such as those against police killings, were more likely to be met with militarized responses and other intimidation reports. He also noted that someone’s immigration status made no difference as to their right to freely assemble and that actions, such as reports that Immigration and Customs Enforcement officials were present at protests in Baton Rouge chilled assembly in a way that violates international law. Kiai also mentioned that homeless people are subjected to double standard when it comes to assembly, with many cities actively breaking up encampments and other assemblies of the homeless in a way they would not do to non-homeless people. The First Amendment of the United States Constitution protects the rights to freedom of peaceful assembly and association. However, as we told Kiai, every branch of government, at nearly every level has been derelict in their duties in upholding this right. It is not just that the executive and legislative branch has trampled upon the First Amendment; the judiciary has at times interpreted First Amendment itself narrowly, depriving it of its full potency. While we are angered that the US government fails to fully uphold the rights to freedom of peaceful assembly and association, we are pleased that the Special Rapporteur has picked up on these concerns. We are hopeful they will lead the US to embrace a more robust interpretation of the First Amendment, a version that we believe is the correct interpretation, and is one that upholds the widespread protections of freedom of peaceful assembly and association the Special Rapporteur mentioned. Read Mr. Kiai’s August Newsletter, The Assembly and Association Briefing.